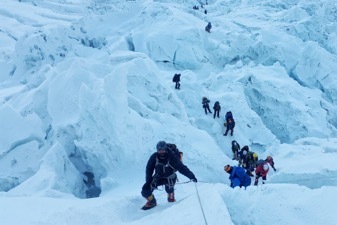 Just over two years ago, I wrote these words on this blog: My name is Kuntal Joisher and I am about to climb Mount Everest. Over those years, I've chronicled the literal and figurative climb of a lifetime. 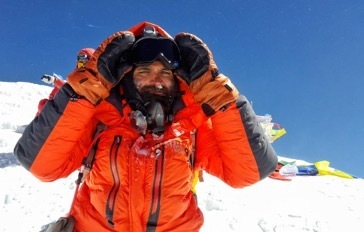 Today I am proud to finally write these words: My name is Kuntal Joisher and I CLIMBED Mount Everest! The journey was not without its challenges - no journey ever is. Whatever the goal we set - be it to travel to every continent, finish grad school, lose 10 pounds, or even climb Mount Everest - there will inevitably be something that stands in your way. But what you can do is climb through it to the top. My father has been living with Lewy Body Dementia for over a decade. I became his primary caregiver when the disease finally stole the last of his independence. 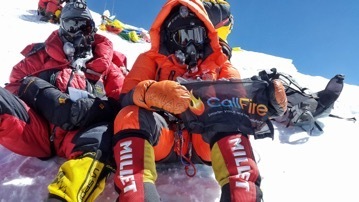 After experiencing the effects of the illness on my father, and the rest of our family, I decided to use my journey to Everest as a platform to raise awareness for this crippling disease. I climbed for every person and family battling this disease with no cure. I climbed for my father. 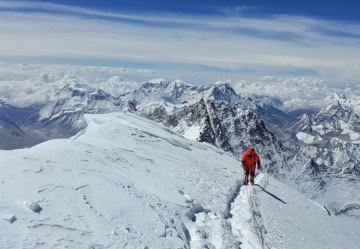 On my first attempt to summit the mountain, an avalanche took the lives of sixteen of our Sherpa guides. It was the deadliest event in Mt. Everest history - and because of a delay in my team's expedition that week, our lives were spared. I climbed for those guides. The next year I attempted the trek, a devastating earthquake caused another avalanche that actually hit our camp. The base was torn apart; debris strewn everywhere, and all around me were injured people, a few of whom lost their lives. I climbed for those who no longer could. A few days ago, I finally completed my life's goal of climbing Mount Everest, and I can tell you - from the top of the world, the view is the clearest. It's not the obstacles that matter; it's how we respond to them. My concurrent quests to both reach the top and spread awareness for Lewy Body Dementia could not have been accomplished without the support of my family, friends, my first sponsor CallFire, and my fellow climbers, who encouraged me to persevere through it all. Whatever your life's goal, I hope you enjoy the climb. One final note: Shortly following my summit, Dr. Maria Strydom, an avid climber and vegan, died while climbing Mt. Everest on May 20, 2016. Many articles and comments around her death centered around the fact that she was vegan, which had no bearing on her death (caused by altitude sickness). I myself am vegan and have been one for 14 years now. I climbed and summited Everest the day before Maria attempted. I am here, fully alive and kicking, and - I hope - putting this ridiculous controversy to rest.